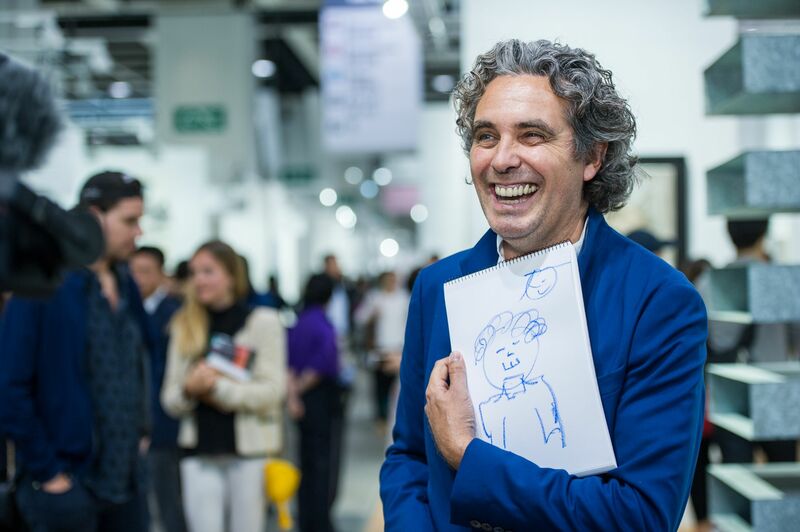 Modern art is all about engagement, so we got expressive at the private view of Art Basel Hong Kong 2017 this week with a one-minute artist challenge. With creative inspiration on every corner, VIP guests including Greg McNamara, Gigi Chao and Deborah Hung took to the drawing board to show off their artistic talents. Their challenge: to draw themselves or a friend in under 60 seconds. Watch the video to see how they did, and swipe through the gallery below to see the results of their speedy sketching. Which is your favourite? Post your own #oneminuteartchallenge with #hktatlerart for a chance to be entered into our Maldives giveaway. Follow us on Instagram @HongKongTatler.